Before Decimal Day in 1971 there were two hundred and forty pennies to one pound sterling. There were four farthings in a penny. Twelve pennies made a shilling, and twenty shillings made a pound. Values less than a pound were usually written in terms of shillings and pence, e.g. 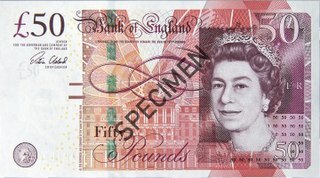 three shillings and six pence (3/6), pronounced "three and six" or "three and sixpence". Values of less than a shilling were simply written in terms of pennies, e.g. eight pennies would be 8d, pronounced "eightpence." 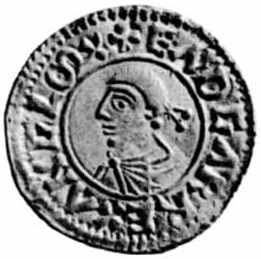 A price with a farthing in it would be written in the following way: (19/11 1/4), pronounced "nineteen and elevenpence farthing". Coins were minted in 1839, 1851, 1852, 1853, and the proof issue of 1868. 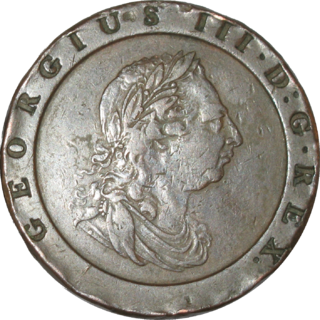 The 1839–53 coins were made of copper, weighed 1.2 grams (0.039 troy ounces or about 1/24 of an ounce avoirdupois) and had a diameter of 13.5 millimetres (0.53 in). So, £1 worth of quarter farthings weighed 10 avoirdupois pounds (4.5 kg). The 1868 coins were made of bronze or cupro-nickel, but weighed the same and had the same diameter. 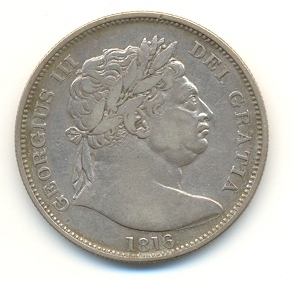 The obverse bears the left-facing portrait of Queen Victoria, with the inscription VICTORIA D G BRITANNIAR REGINA F D, while the reverse bears a crown above the words QUARTER FARTHING with a rose with three leaves at the bottom of the coin. 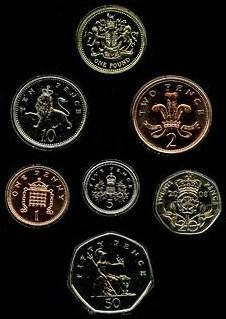 In 2017 values, the quarter farthing would have a purchasing power of between 3p and 4p (£0.03 to £0.04). 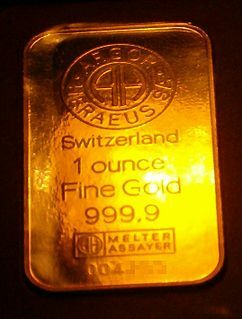 ^ "Fractional Farthings". Royal Mint Museum. 2013. The farthing was the lowest value coin of the pre-decimal Irish pound, worth a quarter of a penny, ​1⁄48 of a shilling or ​1⁄960 of a pound. 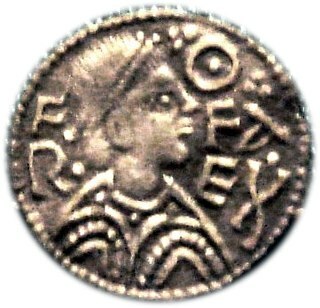 The coin had lost much of its value through inflation long before decimalisation in 1971, and during the 1960s no farthings were produced for general circulation; those minted in 1966 were produced for collectors' sets.